ONfinity CM2 is a fully featured interactive whiteboard system that transforms any standard dry wipe whiteboard, flat surface (such as a wall) or plasma screen into an interactive whiteboard or touch screen. Its unrivalled feature lies in the unique Optical Position Detection Technology which requires no signal receiver device to be attached onto the projection screen/surface. A true plug and play solution! Used with a PC and a digital projector, all projected computer applications can be controlled with the special ONfinity E-Pen. Highlights, annotations, and drawings can be added on the screen under any applications using the E-Pen. All annotated applications, such as Work, Excel, PowerPoint, HTML pages, etc. can be saved on the PC for future review, printing, or e-mailing. It is the perfect presentation solution for front of class and whole class interactive teaching. Lessons and presentations are made much more alive and engaging. Moreover, ONfinity CM2 is the only existing interactive whiteboard system that supports interactivity on both hard and soft projection surface of any size up to an unrivalled 150”! ONfinity CM2’s superior portability and simple setup, and above all, its value for money, make it the perfect plug and play interactive presentation solution for business, education and professional use. A design of cutting-edge technologies and unmatched features, ONfinity Portable is a fully featured interactive whiteboard system that transforms any standard dry wipe whiteboard, flat surface or plasma screen into an interactive whiteboard. Its unrivalled feature lies in the unique Optical Position Detecting Technology which requires no signal receiver device to be attached onto the projection screen/surface. A true plug and play solution! * Ultra portable and lightweight (only 250 g). * Instant plug and play solution – simple USB connection to PC; no device attached to whiteboard/projection surface; no cable between whiteboard/projection surface and PC/signal receiver.Simple and convenient. * Supports interactivity on screen of any size up to 150”. * Works perfectly on soft projection screen; no need for standard dry wipe whiteboard. * Advanced Optical Position Detecting Technology supports real-time interactivity under any PC applications. * Unique triple button interactive E-Pen offers powerful interface for “touch screen” control of projected applications as well as smooth and precise writing and annotating capabilities. * Pressure recognition feature supports application control via E-Pen tip. * E-Pen ready for use any time – user-friendly as a mouse or a pen.Annotation tool bar automatically switches on under the pen mode for applying various annotation functions including colour and thickness of lines, clear, save, and virtual keyboard. * E-Pen functions in both touch-screen mode (with pen tip touching the whiteboard screen) and non-touch mode (with pen tip at a distance of up to 10cm from the whiteboard). * Two models of E-Pen – stylus E-Pen specially designed for writing and annotating; extendable pointer E-Pen specially designed for presentation on large interactive screen. * Simple and user-friendly FreeBoard software enables annotations and writings to be recorded and replayed stroke by stroke. All annotated applications can be saved for further review, printing, and e-mailing. InFocus already wowed us with the launch of the X10 a short while ago, offering a great 1080p DLP projector at a fantastic price and it look set to do the same thing with the X9. The x9 sacrifices a Full HD resolution, being merely 720p (a.k.a. HD Ready), but by doing so comes in at a fantastic low price, and doesn't skimp much elsewhere, either. The 1,280 x 720 resolution is provided by a Texas Instruments DLP chip and is backed up by a 6-segment colour wheel. InFocus claims the X9 has a 2,300:1 native contrast ratio and can produce a 1,800 ANSI lumens brightness, which is about in line with the X10 - so image quality should, resolution aside, be pretty similar. Connectivity isn't a particular strong point of the X9, with a single HDMI port, Component connector, composite input and S-video in, as well as a VGA port. However, with a projector using an HDMI switch box and having a single cable running to the device is almost certainly a preferable option anyway, so the lack on inputs isn't exactly a problem. Pack your pico projector and your netbook and go deliver that keynotes wherever you want. When it comes to choosing a netbook you have lots of options. They are all similar pieces of hardware under different brands. But choosing a pico projector is actually more difficult as there aren’t that many on the market. 3M have announced their newest product, the MPro110 (pocket projector) and the guys at Popsci.com have got their hands on one. Basically it’s a mini projector that plugs into most DVD players via a VGA cable and allows your movie to be projected nearly anywhere! In a dark room this could possibly replace your flashy home cinema system. It doesn’t come with speakers though, so keep the flashy ones for that. The MPro110 also comes with a composite jack cable to allow you to plug in and receive output from things like your PSP or iPhone. Priced at only $359 it goes on sale September 30th and 3M say they may incorporate it into cellphones next year too. Toshiba’s TDP-XP1U looks rather pedestrian. And why shouldn’t it? With a suggested list price of only $779, it is clearly a budget model. The good news is that this value-priced projector is bright, boasts XGA resolution, and generates sharp and steady images. At 4.8 pounds, the TDP-XP1U is not featherweight, yet it remains easily portable. And its easy-to-use features are limited to recognizing the current input (video or computer) automatically and adjusting accordingly. The array of connectors on the back panel is rather sumptuous by bargain-projector standards. In addition to the standard input ports (VGA, S-Video, composite video, and mini audio), there are also output ports for a second display (useful for desktop users) and audio. There’s even an old-fashioned serial port. The worst feature of the TDP-XP1U is its remote control, a tiny credit card–size device whose membrane-style keys had to be pressed repeatedly in order to get any response. Fortunately, only one key is highly useful (the On button) and that is repeated in a much more responsive way on the top panel of the projector. On our lab tests, the TDP-XP1U performed quite well. It was the brightest XGA budget model we have tested, scoring 2155 lumens—almost 3 lumens per dollar. Other numbers were not so complimentary, however. Its contrast ratio was acceptable at 322:1. Its image size (37 inches diagonal at a 60-inch distance) was one of the smallest we have seen in recent months. Its warm-up and cooldown times were decidedly leisurely, particularly the latter at no less than 2 minutes. The TDP-XP1U did much better in our qualitative tests, though, where it displayed very sharp and steady images. (Its main ease-of-use feature may be its ability to be easy on the eyes.) We were particularly impressed by its ability to resolve very dark and light grays. And, best of all, we appreciated its exceptionally quiet cooling fan. Indeed, in low-power mode, we could hardly hear it. With an outlay of only $779, you can’t go wrong with the Toshiba TDP-XP1U. But consider that you will probably want to throw away the remote and replace it with a $60 laser pointer. In contrast to the sleek Casio XJ-S57, the new NEC NP41 is a white, utilitarian box. There’s no fancy lens cap here; an ordinary translucent plastic disk pops onto the lens aperture the way such items have always done. And, at 3.6 pounds, this model is the lightest projector in this roundup, but certainly not the lightest we have seen recently. The connectors on the projector’s rear panel cover just the bare minimum: VGA (which doubles as the component video input with an optional cable), S-Video, composite video, and a mini audio socket. There is also a PS2-style round “control” port. 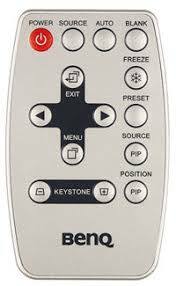 Although relatively large, the remote control has only a few useful controls. These include the somewhat standard but infrequently used digital-zoom buttons. The best part of this projector is something that is missing: a focus ring around the lens. The reason? The focusing is done automatically and rather skillfully by the projector itself. The projector also automatically compensates for any trapezoidal or keystone image effects, but because such compensation usually degrades image quality, we turned this feature off via NP41’s on-screen menu. On our tests, this projector scored quite well. Its brightness of 2210 lumens was just a tad shy of the advertised mark of 2300. In our checkerboard contrast test—a more realistic analysis than the industry-standard full-on/full-off test—the NEC scored a ratio of 534:1, which is one of the higher marks we have seen, and the highest in this roundup. We really appreciated the speedy warm-up and cooldown times, the latter being an impressively short 14 seconds. Subjectively, we like the color capabilities, especially some nice bright yellows, which is rare for DLP projectors. The cooling fan was a bit noisy, however, even in low-power Eco mode. With a price tag of $999, including a two-year warranty, the NEC NP41 is one of the lower-priced XGA projectors capable of more than 2000 lumens of brightness. Add in the automatic focusing feature, and it becomes a real bargain. This small LCD projector's Daylight View 2 feature caught my eye - literally. The projector has a built-in sensor that measures the ambient light, and then adjusts the halftone colors and brightness level accordingly, giving sharp "true colour" images no matter what the light conditions. Combined with XGA (1024 x 768) resolution, 3200 lumens, a 400 to 1 contrast ratio and a weight of 5.5 pounds, this LCD projector makes giving worry free presentations in a variety of venues easy. LCD and DLP are very close in terms of performance, and even LCD's ability to produce good blacks has improved quite a bit. DLP still enjoys a slight edge in contrast ratio, however, mainly because its projectors can get a bit brighter than those of LCDs. The screen-door effect, which appears as a fine grid of pixels overlaying the screen, is also more noticeable on most LCD projectors. As we mentioned above, however, 720p LCD projectors still enjoy more features than their budget 720p DLP competition, including highly desirable items such as horizontal and vertical lens shift. No consumer-priced 1080p LCD projectors are currently available. Can get extremely bright; decent uniformity; generally better black-level performance than LCD. More expensive than similar-resolution LCD models; rainbow effect. Already the most popular technology for home-theater projection, new less-expensive 720p versions will make DLP even more desirable. At 5.6 pounds, this DLP projector is not an ultralight, but it has the combination of features and price to make up for the extra weight. XGA resolution (1024 x 768) and 1700 lumens brightness provide images clear and bright enough to be seen in a normally lit conference room. A 2000:1 contrast ratio makes the images crisp. Add a lamp life of 2000 hours and you have a portable projector that's a true road warrior for mobile presenters. Pros: I chose this specifically for showing DVD's and HD TV. I have it set up on my ceiling and I have a 110" screen (2.4m wide) at a throw distance of 4.5 metres. To tell you how good it is, my visitors mouths drop open in amazement the moment they see the screen image. Noone is prepared for what they see. When I evaluated DLP projectors I realised that they probably source their DLP engines and the lenses because most projectors in a price range have identical output specifications. The only thing that seems to be unique to projector manufacturers are the input processors. I like my Benq because it has a simple and intelligent input processor. The picture is bright and sharp when using Component Input. The machine can be used on most voltages and automatically senses PAL 50Hz or NTSC 60 Hz so I can play DVD's purchased from other countries (using my miltizone Toshiba DVD player). I found the differences in picture quality using S-video (soft images) and composite (colour bleeding) reported by other reviewers to be confirmed - except that using Cable TV on Cartoon programs gives excellent results. I see no evidence of the dreaded rainbow effect often attributed to DLP projectors. I used it to watch the Athens Olympics using my Set top box in Standard Definition mode. The Lord of the Rings is specacular, as is Cher, The Coors and U2. It is such compelling viewing that walk in visitors just drop to the chairs when they see the shows of larger than life people on the screen. Cons: The machine is very fragile so it is not a good idea to have it on a coffee table if kids are around. They have no idea. It is also not a good idea to position it where people could look into the lens - there are strenuous warnings about the dangers of staring at the light source. You can't just turn it on and off to watch the news. You need to structure your viewing to have a block of time set aside. Be prepared for late nights! The fans are slsightly audible during quiet movie sequences. The complexity of formatting the picture when switching inputs is disruptive if I am trying to put on a show for my friends: The 16 by 9 format is automatic for HD TV from my DG-TECH 2000A+ receiver. Most music DVDs are 4 x 3 Most DVD movies are in Letterbox format. My VCR and Cable TV are in 4 x 3 format via composite input only. The only way to set the screen format is via a menu using the remote control. Since the PB-6200 automatically senses the input source and the input signal, it would help if it also could sense the input screen format. It was very fiddly to set up. I found that matching equipment is the biggest challenge - and that applies to all systems it is not just a problem with this machine. But for example, I have a Denon amp which only switches S-Video. So I had to buy a game switch to be able to switch the component outputs. When buying a new DVD player to get component output, I did not realise until later that I could have bought one with progressive scan - which would have improved my picture. While the Benq can play NTSC, my TV cannot, so I have to retain my old DVD player which converts NTSC to PAL for the TV. I chose a 10 metre S-Video, and a composite cable from my Benq supplier. But I spent weeks figuring out which cables to choose to run to the ceiling. I found Jaycar electronics the most helpful and best priced people for cabling. In the end I used a 10m VGA cable, a male to female adaptor, a VGA to RGB BNC plug with RCA converters - which doubles as the component plugs for the Benq. Sound ridiculously complicated? Well - it was a choice to do this, or pay 3 times as much for an integrated system and for a professional to set it up. Overall: It is absolutely fantastic value for money and brilliant for people who don't want to pay for workplace features which they don't need (such as laser pointers, multi input processing, speakers, timers etc). I compared the specifications with similar machines from Electroboard, Optoma, Panasonic etc. The Benq 6200 has a 200w bulb which I think makes it brighter. I would need to spend more than twice as much to get a better projector. My family and friends love it! And best of all, I am the only person who knows how to operate it!!!!!!!!!!!!!!!!! We don't use it during the week but from Friday night to Sunday night we run it extensively.